I first came to Tally in November 2005, and returned to Austin last week from my last planned trip there. Over those 5 years I managed to eat out. A lot. Mostly I ate the sort of middling sustenance that gets one through the day when traveling. A few times, I got to partake in the memorable. Sitting here, back in Austin on a sunny day off, I was just thinking through the places I'd go back to should I get back to Tally at some point down the road. And here it is, in no particular order. Technically, the Aloft is not food. But it is the sweetest deal going in Tally accommodations. Aloft is a Starwood hotel, and it makes a big deal out of being the pipsqueak version of the W. Hipster without being too precious, the Aloft pretty much nails the cheap hotel formula. Comfy bed, modern interior design, perfect mid-century design desk chair, good espresso in the lobby. And the clock. The bed-side clock rocks. I am not cool enough for this bar, but I love it anyway. Level8 opened up sometime in 2009 with the slick boutique Hotel Duval. While an 8th floor panoramic balcony in another town might face you at a brick wall, in Tallahassee it presents a view over the rooftops and trees, out toward the setting sun. Drinks and bar food are about what you'd expect - nothing earth shattering - but the people are all trendy and beautiful, the breeze is refreshing even on sweltering summer afternoons, and the whole deal is a step away from Florida small town and into something cool in a whole different class. One of the first posts I wrote in Tallahassee was in reference to a lovely evening at Cypress. Nothing's changed since then. Cypress is easily the best restaurant in town, hitting the right notes on service, on wine, and on food. 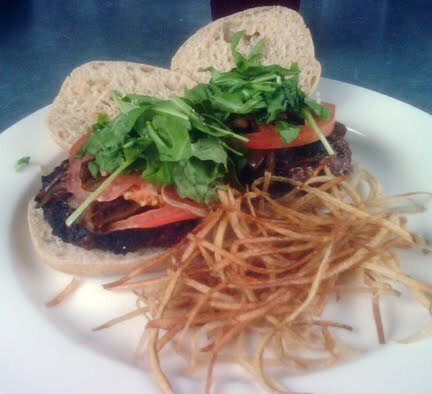 It's fancy, but it's a foodie fancy - nothing for show, all for taste. When folks came into town for a quick visit, for team celebrations, for goodbyes or welcomes, if I had anything to do with it, this is where we ended up. The basic rule that nice restaurants do not name themselves with whacked spelling does not apply to Tallahassee. Nowhere is that on more blatant display than Kool Beanz. 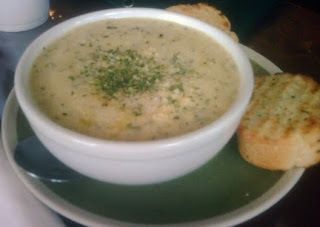 A cozy place with a pretty patio and an ambitious menu, Kool Beanz is as good a lunch as I've had in town. It's not fast-food cheap, but for what it is - creative American cuisine made from fresh, sometimes local ingredients - it's exceptionally well priced. I've been for dinner as well, but I think the fancy/casual atmosphere does better at lunch. Menu changes often. Never a dull visit. In the grand scheme of basic cleanliness, Gordo's is about as low on the scale as I'm willing to visit. That said, this is college-dive Cuban done right. The arroz con pollo is better than any I've had at even far more upscale spots; the maduros, totally on point. Weakest points at Gordo's are the sandwiches, which I found kind of bland. Slices as big as your head. Like Galapagos wildlife left to evolve in an isolated environment, Pizza in Tallahassee has grown to proportions I have never seen in the outside world. An XL Momo's Pizza is 30 inches across - 700 square inches. And it's not just enormous, it's really fabulous pizza - thin crust, beautifully spiced kind of punchy sauce, huge array of fresh toppings. Momo's and Decent Pizza are nearly identical in these respects, and both are contenders here, but I'm giving the nod to Momo's because they came first. I prefer the north location for the huge patio and the lack of insanely loud (but pretty good) music that they incessantly play down at the campus location. 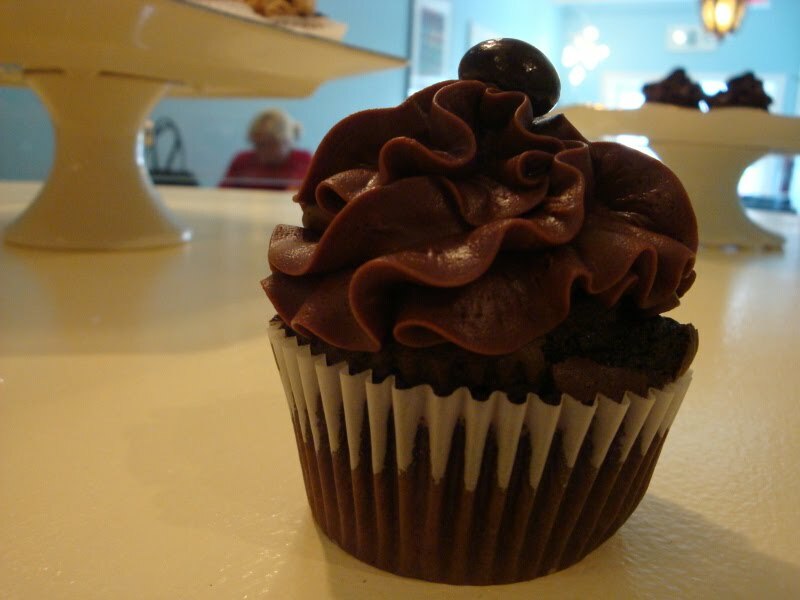 Cupcakes hit Tallahassee a few years later than they hit Austin, and Lucy and Leo's pretty much sums up the trend - tasty, a little fru-fru and obsessively cute. L&L's, named after the owners' dog and the dog that lives next door, takes up the front half of a little shop. The back half is a quaint little shop full of art, handmade clothes, and little DIY knick knacks. They compliment each other nicely. As for the cupcakes, L&L rocks the best buttercream in town, and hits some pretty killer inventions. The lemon cupcakes in particular, topped with a little blueberry, are to die for. New Leaf was the best grocery store in town before they expanded. Now, with a bunch more wine, a ton of local produce, a pretty stellar selection of meat and cheese, and a more navigable space, they're way, way out in front. Still, New Leaf is no Whole Foods, and shopping there requires some flexibility, almost like a farmer's market - they've either got the best damn grapefruit in town, or they don't have grapefruit at all. Always an adventure. This one has really, literally, nothing to do with food. It's just a really good park. A postcard-perfect park, with a trail winding a mile or so around a lake, under monumental old oaks draped with Spanish moss, and across beautiful little wooden footbridges. 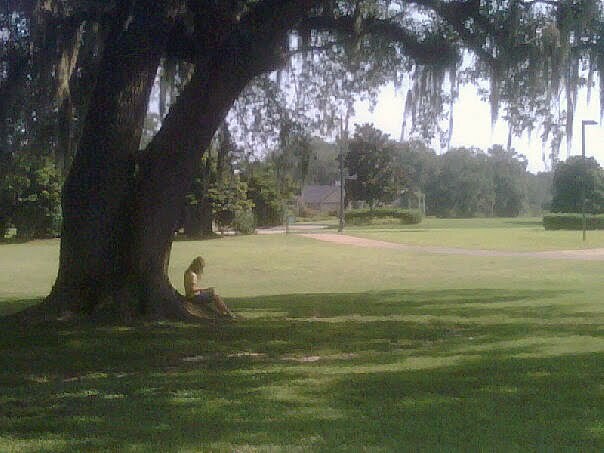 When my family was down in the summer, we went here nearly daily (that's my daughter reading her book under one of the giant oaks). The pool is off limits to non-residents, but the rest of the park, including a modest but lovely playscape, is open to everyone and just about perfect. The Soup Swift may very well be the best soup-and-salad place physically connected to a retirement home in the South. Soups are creative, constantly changing and often a little daring, salads are well executed, and the place is just about as cute as you can make a linoleum-tiled, windowless cinder block establishment. A coworker refers to it as BYOD - Bring Your Own Doily - which is about right. The trick with the Swift is to get a seat at one of the half dozen picnic tables outside. Perched there, under the umbrellas, dipping into an expert gazpacho or lemon grass curry and munching a crisp salad is an unexpected pleasure. I stayed in Aloft, despite my distrust of companies with ambiguous pronunciations, in Charlotte. 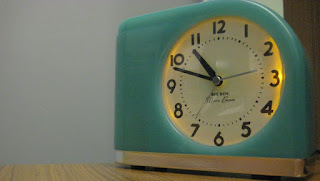 I bought that clock after my first stay. b) the buying of the clock. I'm working on the buying of the desk chair, but that's proving more complicated. Good to hear from you Eric. I moved back to Tally after living in Hawaii. We're no Austin but we've got our fair share of fine little locally owned businesses. Next time you visit Lucy & Leo's come on down the stairs to my shop/gallery, Bali-HI Trading Co. (WWW.balihi.us). You'll love our island lifestyle treasures and fine local arts as well. I am definately gaining wt. being downstairs from L&L! Food Glorious Food.. try it you will love it. If you like sandwiches try Hopkins they have a very unique Menu FYI they have some of the best cakes in town their Hummingbird Cake gives me smiley face.